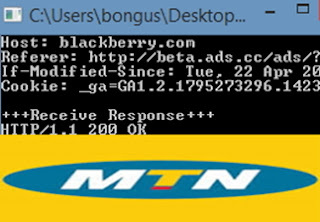 Is MTN Trying To Block Simple Server With BBLITE Browsing Tweak On PC? It has come to our notice that MTN is planning and trying to put asunder to Simple Server with Bblite Browsing Tweak on PC. At this moment we are ready to get on our knees and plead with MTN on behalf of you for them not to even try it because this very Simple Server with Bblite Browsing tweaks have been saving people since the time of Adam and Eve and it will be very painful if anything happens to it this very moment that Dollar is very high. Since last week you might have also noticed that Simple Sever with BBLITE Browsing Tweak have been lagging in some form; being selective of the type of sites it opens fast on while on some sites it will take the grace of God to get them load fast. Though, the Simple Server tweak on PC with BBLITE has not been blocked as some folks have been speculating, but there have been some twist of fate while using it currently as it is no longer the Simple Server you use to know in the past that blazes like high tension on all sites. Now, if you are loading mostly secured sites in many instances, it takes loads of time to open and sometimes it will not even load but shows “ERR_TIME_OUT”. Though some few times now it still manages to open them fast but definitely not as it used to be before. If you have been experiencing such recently, you should bear in mind that it is not network issue that is causing it as some of you also assumed; you should know that Obi, Titi and Sani are also experiencing similar thing in the East, West and North. And it is happening as result of some forces either from MTN or other angle trying to deprive you of the joy you get while using the Simple Server with BBLITE tweak on your PC. But I know most of you are prayer warriors and will use your cabashing power to prevent anybody or institution from blocking this very tweak. For those on android, Psiphon still does the magic and you are not affected in any way. We hope and believe that everything normalizes in the coming days so you will continue in your high speed surfing with Simple Server with BBLITE browsing tweak on PC, otherwise we will come up with best alternative for you very soon.